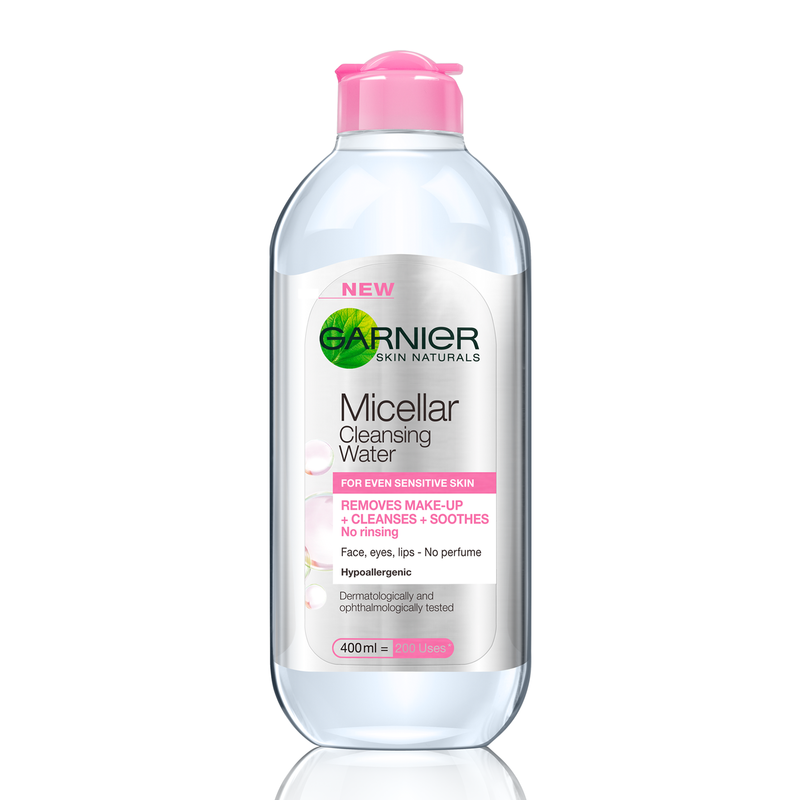 For years I have wanted to try micellar water/water cleanser style products such as Bioderma Sensibio etc, but could never bring myself to pay for expensive prices for them. When L’Oréal brought out their own version of it I bought it, tried it and didn’t like it. At that point I had given up all hope of finding an affordable alternative to the Bioderma product but when I heard that Garnier had their own version I was intrigued and excited. I love it. Plain and simple. It has improved my skin so much more than anything I have ever tried. I had been using my Clarisonic everyday and it just was not clearing up my skin how I wanted it to but when I gave my skin a break, using the Clarisonic every few days but the micellar water everyday, my skin completely changed. I’ve struggled with my skin a lot, and while others would say I have great skin, I knew deep down from inspecting my own skin that I had terrible pores and large bump like blemishes that were not attractive under makeup. Within a few days of using it my skin is like new, the bumps disappear and while I still have acne scaring (that’s a whole other problem to be tackled) and some small active breakouts it works perfectly. I don’t expect my skin to be perfect with no breakouts and to put that much pressure on a product is silly, diet and lifestyle also play a large role in how your skin looks. Overall I am very impressed with this product, it worked perfectly for me, it gets rid of all leftover makeup after I use a makeup removal wipe, it does not sting my skin. I have even used it to remove my eye makeup and mascara which is also so much easier than doing it with a wipe. I just love this product. I purchased mine from Penney’s/Primark for €4.50 which is a steal seeing as the Bioderma Sensibio can be between €10-€16 from my research, it is also more readily available for me, I don’t need to order a new bottle online! While here in Berlin one of the supermarkets is selling it for €4.95 so it is usually kept around the €5 mark from what I have seen. Give it a try, if you don’t like it you didn’t spend heaps of money on an expensive product, but if you do love it you could have just found a new staple in your skincare routine, I know I have!! – Cons: The only con I have found is that I find myself wasting some product because it comes out of the bottle very quickly, other than that nothing! – Will I Re-Purchase? I already have and will continue to in the future!